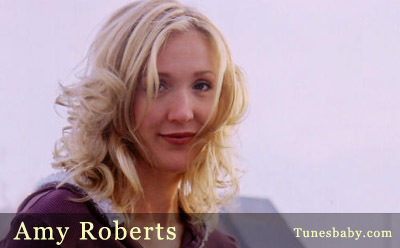 Amy Robert’s versatile vocals shine with every facet of her songwriting - ranging from velvety smooth to powerfully raw. Her music entices with solid grooves & poetic lyrics. Amy delves deeply into situations and emotions with each song. Today when there is an overkill of “I Love You” songs, “Break Up” songs and “Political Angst” songs, Amy takes you innately into the even more delicate inner workings of the heart. A refreshing change from today’s “everything sounds the same” musical atmosphere. Each song is unique in flavor; the thru line always being the vibe of the piece. Her voice is soulful, the music is groove-able, electronica adds color to the sound and Amy’s rock influences are apparent as heavier guitars and drums swells into the music at just the right climactic moments. In L.A she sings professionally and can be heard on HBO, NBC, Lifetime, The WB, Comedy Central, and more. Amy has performed with various bands in LA over the past several years; drawing up crowds and getting positive press. After spending several years gigging, Amy is now pursuing a solo career. Half the songs on her album are reworks of past songs while the other half are newly inspired. There is a large spectrum of her experiences over the last several years of her life put into this project. Not only has this album been a rebirth for Amy as an artist, but in the process she has also given birth to her first son, Owen David, born August 23rd, 2005. He has been a part of this album from the get go; from giving Amy pregnancy nausea while recording her first few songs Midnight, Without U and Shelf to being IN the vocal booth while she finished up lead vocals on Butterfly. Amy Roberts is currently completing the last song of her Debut Album, It Is, with Dan Marfisi (Jones House Music) on instrumentation/arrangements, co-produced by long time musical friend Josh Prince, and mixed and mastered by Michael Woodrum (Soundmoves Studios). Other gifted players include Nova Jones, Brian McKenzie, Carla Clark and Cameron Stone. Fans have said Amy sounds like Stevie Nicks, Norah Jones, Gwen Stefani, Hope Sandoval or Erykah Baduh. Friends say she channels the angelic voice of a blues singer from the past. But whatever you hear in Amy's voice is most definitely a reflection of her life as an artist. "The life you live is the lesson you give". Amy's longtime bassist friend Brian McKenzie says it best: "The way she lives her life, everything she does, the home she has created, the way she treats people, the sound of her voice, the way she makes others feel...it's something special".